From Left to Right: Craft, Trading Post, and Large skunk skins. 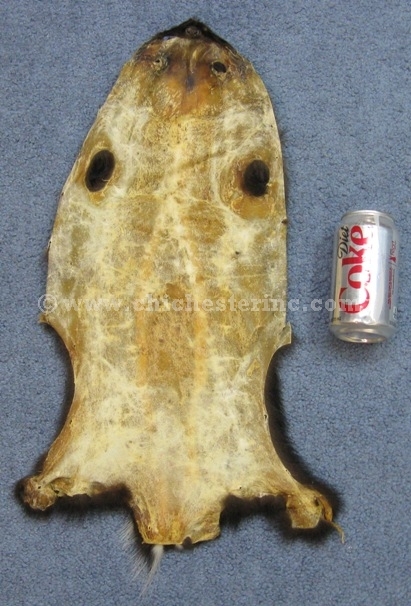 We offer tanned skunk skins in a range of grades as described below. Not all grades are available at any given time. Please call for availability. Please note these are not appropriate for taxidermy as they have no lower face. 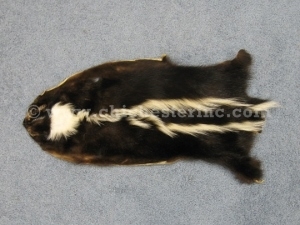 The premium skunk skins have heavier, nicer fur with clear white stripes. The large skunk skins are nice quality skins with clear white stripes. 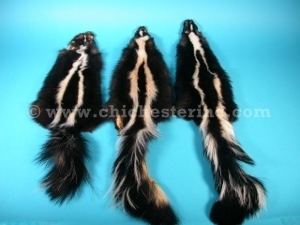 The trading post skunk skins are medium size skins with a good body and decent face and tail. They have a yellowish tint. 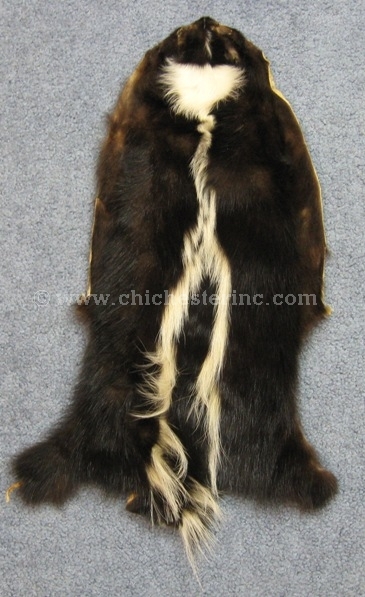 The craft skunk skins are damaged or all black (no stripe). They may or may not have heads. R-54-CR have tails while R-54-CRNT do not have tails. They are ideal for making sides of hats. The quick tan skunk skins are washed but not tanned. They are very stiff skins with good hair but no tails. They are approximately 21.5" long, 9.5" wide, and weigh 0.24 pounds. Quick Tan with No Tail.